Nobody wants to hear their name or their loved one’s name mentioned in the same sentence as the “C” word. But let’s face it: it can happen to anybody and when it does, hearing the news that you ‒ or maybe your wife, your son, your sister or your mother ‒ has cancer, is a blow that changes your life in an instant. With today’s technological advances, however, the blow is not always fatal. Instead of using a “one-size-fits-all” approach where a standard treatment is given and then adjusted based on trial and error, doctors are increasingly able to use medical technology tests (“diagnostics”) to look at a person’s molecular profile, like taking a fingerprint of the cells that reveals a person’s genetic make-up and other unique characteristics. This allows them to tailor the treatment to the individual, meaning more effective treatment can be given, less time is wasted trying to find the right treatment and fewer serious negative side effects happen. For people with cancer, it can be the difference between life and death. This “personalised” or “targeted” approach to healthcare is possible largely because scientists have identified over three million genetic variations in the DNA, which can give clues about a person’s disease and how they may react to different treatments. As a result, many cancer patients have already experienced life-changing benefits. Grandmother Anne McGowan was one of those people. When the non-smoker was diagnosed with inoperable stage IV non-small cell lung cancer in 2010 at age 68, she was told that she only had a few months to live. But because doctors had the technology to test her molecular profile from a sample of fluid surrounding her lungs, they were able to detect a genetic abnormality associated with some types of lung cancer. Ironically, this was good news for Anne, because it meant that she could take a specific drug which stops the cancer cells from growing and multiplying, but which only works for about 10% of people with lung cancer. Those who don’t carry this genetic abnormality are unlikely to benefit at all from the little brown pill that extended Anne’s life for over three years after her devastating diagnosis. Anne was fully aware that without the diagnostic, this specific treatment would not have been an option and she would have missed out on some major life events like her 50th wedding anniversary, her own and her husband’s 70th birthdays and numerous holidays. She was able to avoid chemotherapy after only one session and felt better than she had in years while taking the daily tablet. Sadly, Anne lost her battle with cancer shortly after telling ThisIsMedtech her story, but her husband Lawrence is forever grateful for the extra years they had together. He said that because of the personalised cancer treatment she received, “We were able to live our lives as most couples of our age would expect for much of the time she was being treated. Three months before she died Anne was even able to travel to her home village in Ireland to revisit childhood haunts and family graves ‒ a trip she was incapable of making at the time of diagnosis.” He was also keen to point out that Anne’s tumours had reduced in size by 25 to 45 percent over the course of her treatment and had remained stable up until her death. Personalised healthcare is also proving critical in the treatment of childhood Leukaemia, a cancer of the white blood cells. According to the UK-based Medical Research Council, a quarter of children initially fail to respond to chemotherapy and need further treatment, which can be very toxic and expensive. By using modern technologies that can test for abnormalities like the Philadelphia chromosome, a genetic mutation associated with certain types of leukaemia, and Minimal Residual Disease, which can determine the likelihood of a relapse, hospitals can give “quite specific treatments around the person’s individual disease”, says Kerry Baker, an adolescent haematology nurse who works in the Teenage Cancer Trust Unit at London’s University College Hospital. “For example, we know that Philadelphia positive [patients] may need a bone marrow transplant up front. The cure rate is quite good for leukaemia but if there’s a relapse, it’s really poor. So it’s about catching the high-risk ones and treating them to avoid a relapse,” she explains. Ms Baker also notes that many children were over-treated in the past, which led to long-term side effects such as fertility issues. “Now we’re looking at long-term cure with no long-term side effects,” she adds. One of the biggest success stories in personalised cancer treatment has been with the approximately 25% of breast cancer patients who have an abnormality in their so-called “HER2” gene, which can cause a more aggressive form of the cancer. Because molecular profiling is now possible, doctors are able to better select patients for targeted therapies such as the one that treats “HER2 positive” breast cancer patients. As a result, many patients have been able to live much longer than they would have a few decades ago. However, not everybody can benefit from targeted therapies yet. London-based chef Emma Fisher, for example, wasn’t suitable for this specific treatment because she tested negative for HER2. Although she’s beaten cancer, she may have avoided a severe allergic reaction to one of the drugs she was given, had a diagnostic been available to guide doctors towards a more suitable therapy. This is one reason why Dr Yachnin remains somewhat guarded about unequivocally singing the praises of personalised cancer treatment. There simply aren’t diagnostics and targeted therapies available yet for all the known molecular variations associated with cancer, even some of the common ones. Moreover, many cancers are driven by multiple factors so targeting one abnormality alone may not be a magic bullet. 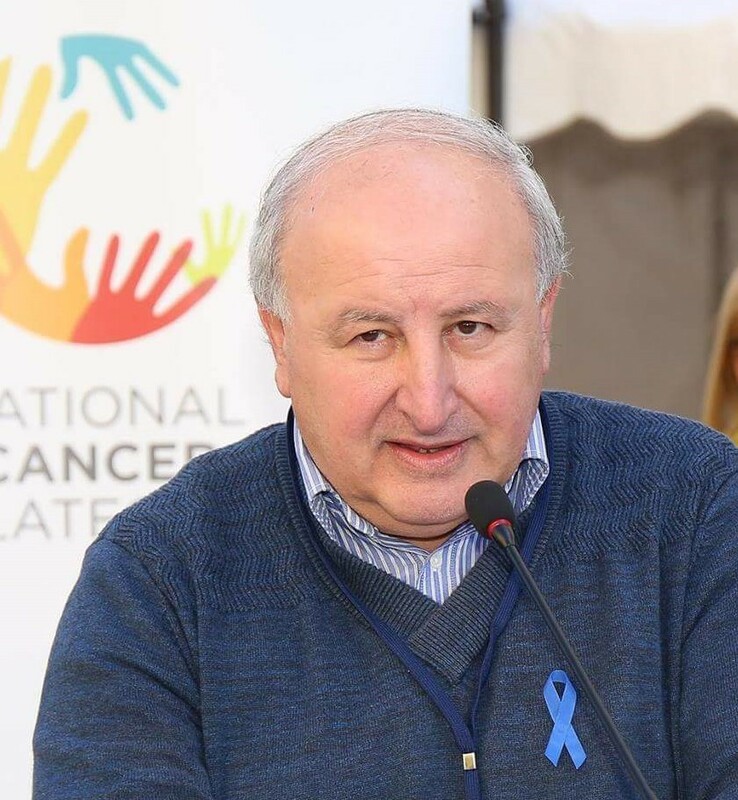 Although Dr Yachnin is very optimistic about the future of personalised cancer treatment, he cautions that we may have to wait another 5-10 years before it becomes standard medical practice.